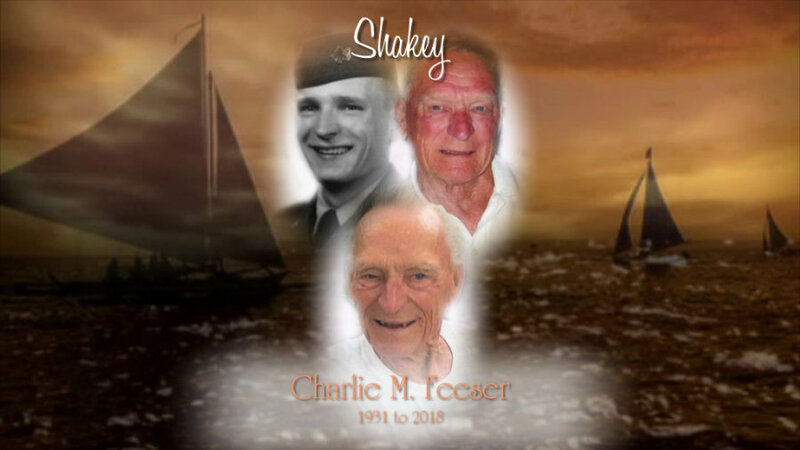 Obituary for Charlie M. "Shakey" Feeser | Kenworthy Funeral Home, Inc.
Charlie M. “Shakey” Feeser, 87, of Hanover, PA, entered God’s eternal care, Saturday, October 27, 2018 at home with his loving family by his side. Born August 23, 1931, in Westminster, MD, he was the son of the late Mark and Carrie L. (Stehl) Feeser. Charlie was the loving husband of the late Dolores M. (Fuhrman) Feeser with whom he shared forty-eight years of marriage until her passing, March 10, 2004. Charlie was a veteran, serving his country proudly in the United States Army as a Corporal during the Korean War. He was awarded the Good Conduct Medal, the Korean Service Medal, the United Nations Service Medal and the National Defense Service Medal. Charlie was employed as a Superintendent of Carpentry for Hoffhein’s Brothers for forty-two years until his retirement in 2001. Charlie was a member of the AMVETS Post #22 of Hanover, PA, and the Codorus Sailing Association. 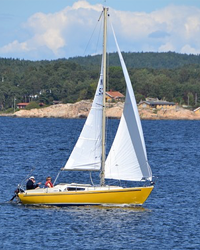 He was an avid sailor and enjoyed skiing, white water rafting, bicycling, hiking, ice boating and ice skating. Charlie is survived by his children, Dan Feeser and his wife Jamie of Hanover, PA, Sharon Feeser Athey and her husband Paul of Harrisburg, PA, and Tracy Feeser Topper and her husband Phil of Hanover, PA; five grandchildren, Jessica Topper, Josh Topper, Zach Topper, Kate Feeser and Matthew Feeser, all of Hanover, PA; two great-grandchildren, Jaidan and Arlaina; and one sister, Catherine “Cas” Purzochowski of York, PA. He was preceded in death by a daughter, Pamela Feeser; six sisters, Ruth Ellen Feeser, Edith A. Snyder, Edna A. Yost, Millie Trippitt, Grace Lookenbill, and Helen Bealing; and two brothers, Bernard E. Feeser, Sr. and William Feeser. A funeral service to celebrate and remember Charlie will be held 11:00 AM, Thursday, November 1, 2018 at the Kenworthy Funeral Home, Inc., 269 Frederick Street, Hanover, PA. A viewing and time to share memories with the family will be held from 6:00-8:00 PM, Wednesday, October 31, 2018 at the funeral home. Burial will be in Rest Haven Cemetery, Hanover, PA with the Allied Veterans Honor Guard Burial Detail providing Military Honors. In lieu of flowers, contributions may be made in Charlie’s name to the Friends of Codorus State Park, 1066 Blooming Grove Road, Hanover, PA 17331 or to the Wounded Warrior Project, P.O. Box 758517, Topeka, Kansas 66675-8517.